The rules are a bit different when you're an official brand ambassador. Production of the Air Jordan 3 may temporarily be suspended, but the rules are a bit different when you're an official brand ambassador. 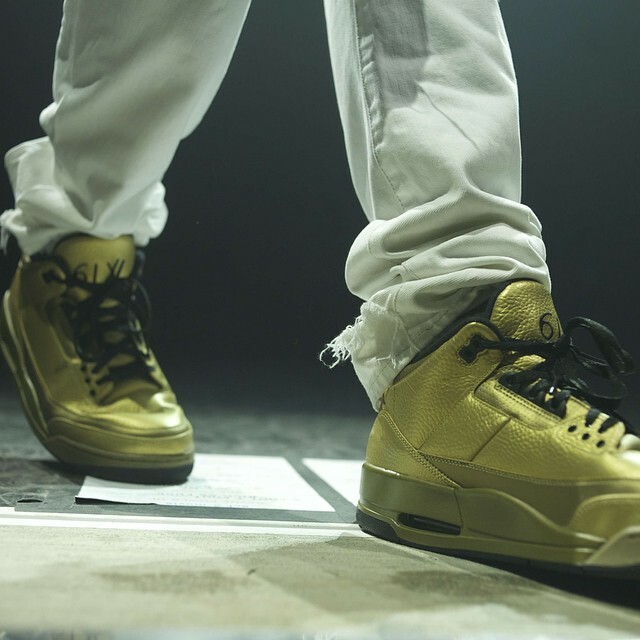 Below is a closer look at the gold Air Jordan 3 that Drake debuted at OVO Fest last month. Sitting next to the upcoming 'Grey Toe' Air Jordan 13 Retro, the exclusive OVO make-up sports a tumbled gold leather upper with contrasting black accents. The '6IX' branding on the tongue is a reference to Drake's home city of Toronto and his upcoming album Views from the 6. 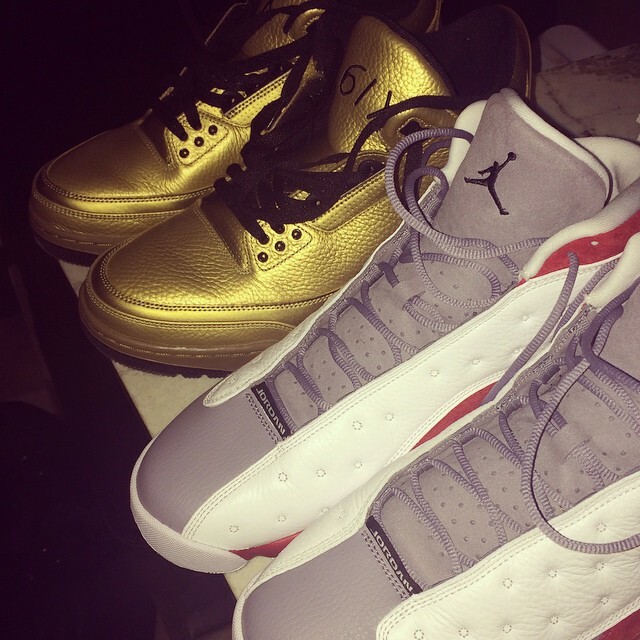 In recent weeks, Drake has shared two Street Fighter-themed Air Jordan 3s, as well as a predominantly black pair. Which of his PEs do you think is the best (so far)?